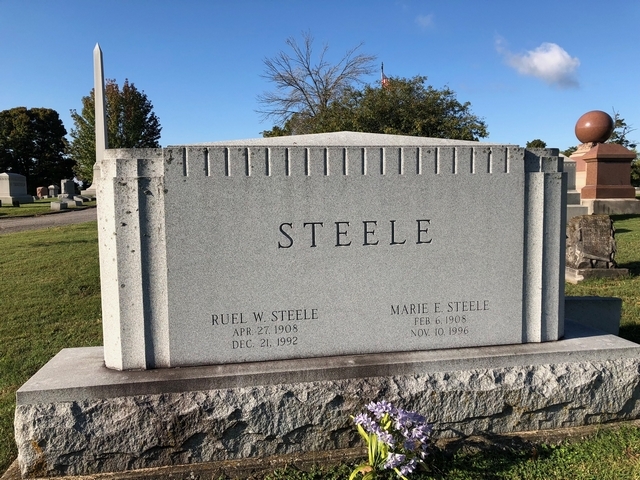 Ruel Steele served as Lawrence County Clerk, State Senator, and Chairman of the Indiana Highway Commission. He was named Sagamore of the Wabash by five different Indiana governors and honored as a Kentucky Colonel. Ruel Steele was instrumental in the modernization of the Indiana highway system and construction of four-lane Highway 37 from Bedford to Indianapolis.